HOUSTON, Texas (KTRK) -- Everyone's favorite summer shoe brand just released its latest offering that will set you back several hundred dollars. Birkenstock is offering its two-strap Arizona-style shoes for $800. The shoes feature oiled natural leather and handcrafted buckles in sterling silver. You can choose from Blue Knot and Blue Anchor colors. If you can fork over the cash, you better hurry. It's available for a limited time only. Prices for Birkenstocks vary, depending on the style. Some cost as low as $30. 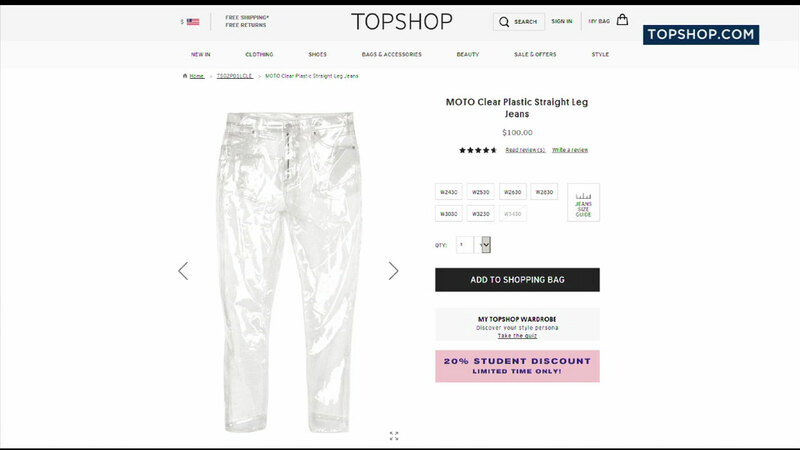 A new fashion trend made headlines on social media Wednesday after Topshop released transparent jeans.